As the security industry becomes more and more network based, network access control is continuing to expand along with it. While the expansion of access control systems into an IP-based paradigm has not been as fast as video surveillance, for example, the growth of network security in other areas is spurring the traditionally slow to adapt access control market to innovate. As the IT department becomes more involved with the security department, it is recognizing the potential benefits of a networked access control system, and pushing for the installation of IP-based systems. Learn more in our blog. Network access control is continuing to grow as security systems become better integrated. Certainly part of the growth of networked security can be attributed to a greater influence of the IT department in security purchasing decisions. IT recognizes the value of digitizing physical security and being able to control security remotely via wireless devices such as smartphones. In fact, one of the main reasons that network access control is now starting to come online is due to improvements in locking technology. Wireless locks offer superior functionality and flexibility for end users, who can use this new technology to remotely manage all the locks on the network. Automatic alerts can be programmed to be sent to mobile devices if someone attempts to breach an access point on the network. Integration of wireless locks with the rest of the system strengthens the system as a whole and improves return on investment. Locks aren’t the only access control component that is being upgraded to IP. Door sensors and car/badge readers are also being put on the network. And as manufacturers see the growth in demand for open architecture in access control, they will continue to shift away from clunky proprietary solutions to modern solutions that are easily integrated and offer greater scalability. End users will see benefits in ROI and strengthening of their security system. 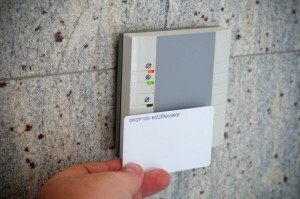 Learn more about open architecture in access control systems in our blog. This entry was posted on Thursday, August 6th, 2015 at 1:14 pm. Both comments and pings are currently closed.